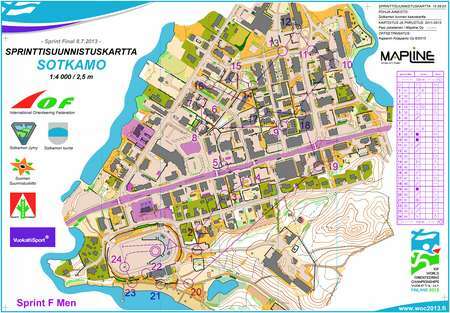 Home / Orienteering News / Course of the Year 2013: Monsanto evening sprint! Course of the Year 2013: Monsanto evening sprint! Jan Kocbach November 29, 2013	Orienteering News Comments Off on Course of the Year 2013: Monsanto evening sprint! 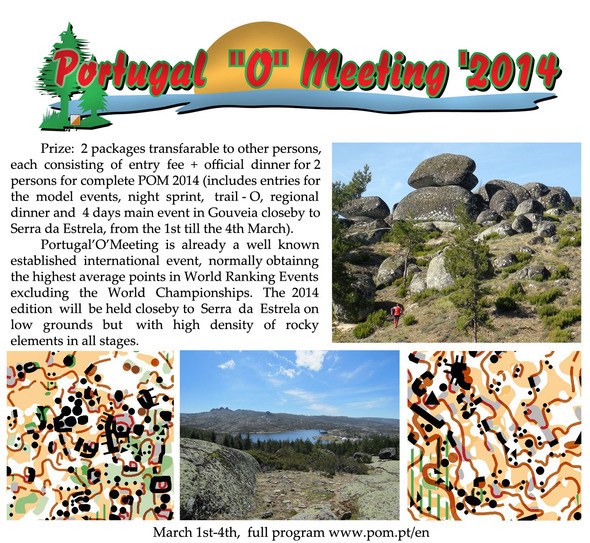 For the second year in a row the “Course of the Year” prize goes to Portugal O-Meeting. 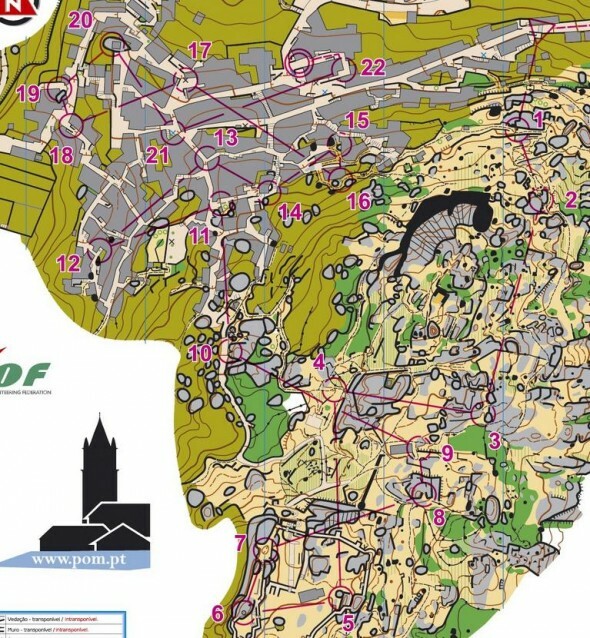 Rather than one of the main events at Portugal O-Meeting – the prize goes to one of the “side events” – an evening sprint in spectacular surroundings of the hilltop village Monsanto – “the most Portuguese village of Portugal”. The Monsanto evening sprint was actually the first course suggested for “Course of the Year 2013″ by Pythorias early in the morning on November 12th. This also means that Pythorias wins the prize of his wish: The Competition, training and hotel package for one person at the 10th anniversary of MOC Mediterranean Orienteering Championship in Tuscany. Check out the other sponsor prizes at the bottom of this page. Congratulations to Portugal and to course setter Tiago Romão. Read on for an interview with the course setter and the Top 10 results list in Course of the Year 2013. 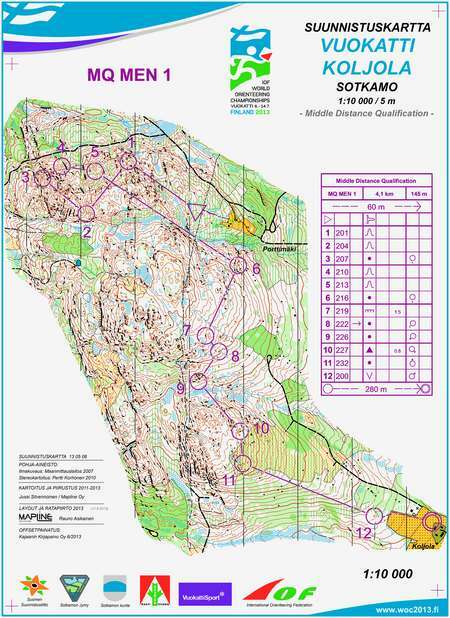 About “Course of the Year 2013″: The rules are simple: Suggest a course from a competition or training in 2013 using this link, and state the reason why you think this course deserves to be “The course of the Year 2013″. The best among all the suggestions will be chosen – and there will be a voting process among the readers of “World of O”. Sponsor prizes of around 3500 Euro are to be won by the ones suggesting / voting: Andalucia O-Meeting in Spain February 14th-16th, MOC in Italy March 13th-15th, Bergen Sprint Camp in Norway January 31st-February 2nd, 3+3 Sälen in Sweden June 27th-29th, Ilves-3 in Estonia May 2nd-4th, OOCup or Bubo Cup in Slovenia at the end of July/start of August, Orievents training camp/NAOM in Portugal in January, Portugal O-meeting in Portugal March 1st-4th, the North Americal Champs in Canada October 10th-13th, and 3 days of Trenches in Italy May 31st-June 2nd. See all details about the sponsors & prizes below – to me all of them are tempting! 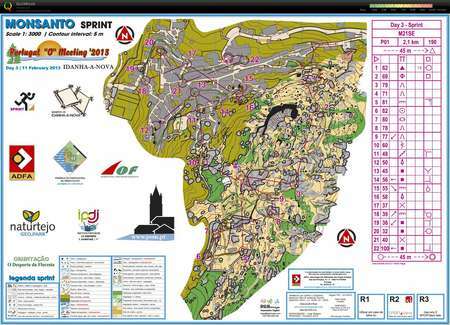 In the interview about “Course of the Year 2013″, Thierry Gueorgiou told us that ” I had almost forgotten that sprint races could be fun sometimes” when describing the sprint races in Monsanto and Matera (second place in course of the Year 2013 – see below) – two of his highlights in the 2013 season. And of course the winners in Monsanto were the two biggest stars in modern orienteering: Simone Niggli and Thierry Gueorgiou. Gueorgiou won the men’s class in the time 18:17 for the 2.1 km long sprint – half a minute ahead of the world’s best orienteering sprinter, Matthias Kyburz (Switzerland). Simone Niggli (Switzerland) – the best women orienteer of all times – won the women’s sprint with a margin of more than a minute down to Julia Gross (Switzerland). Q: When did you start planning the courses for the Monsanto evening sprint – and how many hours do you think you spent on it? It is hard to say how many hours I spent because I also planned the 1st day night sprint and helped in the others 4 POM races. However from november I spent about 50 hours on the Monsanto sprint. Q: Monsanto is a very special village – can you tell more about the village? Was it difficult to get permission to organize a race there? 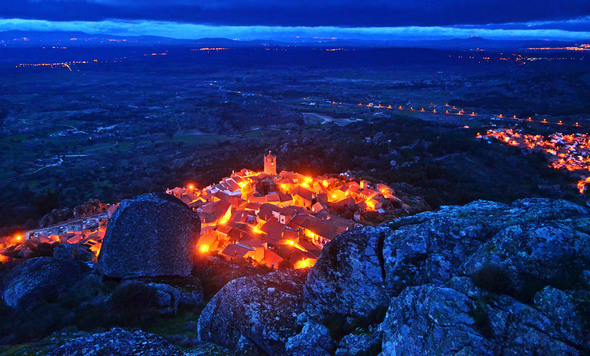 Monsanto is a small village in Idanha-a-Nova that has become popularly known as “the most Portuguese village of Portugal” in a class of twelve classified historic villages in Portugal. The emblem of Portugal, the Silver Rooster (Galo de Prata), can be seen on the top off the Clock Tower or Lucano. The most dificult part was to take all the competition material to the middle of the village, because there is just a small road to the village and there is no place to park cars or even for an arena. So I had to plan a course also taking into account those facts, trying to make all more easy for the athletes. Q: What is your favourite leg in the course – and why? 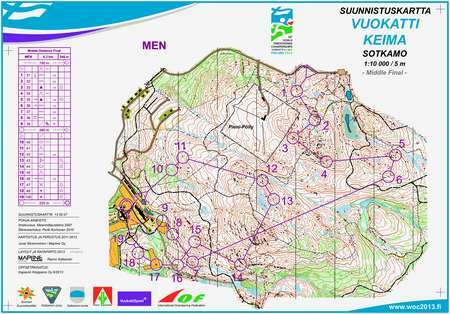 I have a lot of legs that I really like because I tried to create a course also quite touristic with controls like 2, 6 and 20 (M21SE) in fantastic places. however my favourite leg is 17-18 because the runner come from 16 in an downhill leg, that give them short time to read the map, and then they find a leg with 3 route choice options. For me the best course I have planned was the 3rd day of POM 2013, I was not the main couse setter but I was very envolved on it, specialy on elite couses. Q: Where should World of O’s readers travel to experience your courses in 2013? 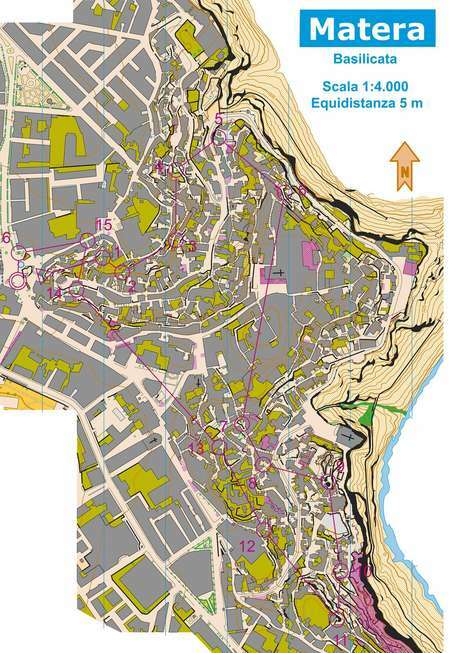 For 2014 I will just plan courses on 27 and 28 Sep 2014 at Iberian Championships, however in 2015 I will plan at 7 and 8 Feb an WRE race in Idanha-Nova. The readers also can experience my courses at O-Portugal Training Camps in Évora’s region. Q: What is your work flow as a course setter? How do you start? First I like to know the terrain even before the map is drawn, and then I create a mental idea of how the courses should be. After that, when I get the map, I start by choosing the finish and the start places and then I create the longer route choices with no precise control location. After the first draft courses are ready, I find the best control locations on the terrain trying to keep the route choices. Then I make some small adjustments and test the course. Just accept a leg on your course if you would like to run it yourself. The race I must enjoyed to run in 2013 was the 1st day of Trophy of Mangualde, organized by Natura – Orienteering Club of Viseu. The terrain it’s very thechnical and in a very nice landscape. 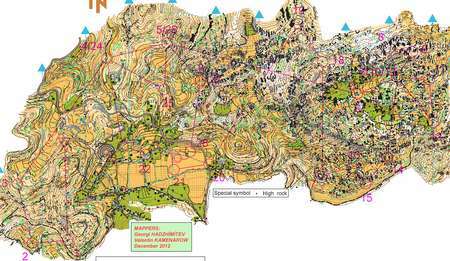 The course has all I want to find in a middle distance race, short and thecnical legs with direction changes mix with longer ones with route choises. The course setter was able to avoid the worst part of the map and use the best that the map has. The finish was in a artificial beach giving a more pleasent way to the event. As runner my biggest success was the year of 2009 with the 14th place on sprint at JWOC 2009 in Italy and a sprint final A as junior at WOC 2009. However I still have 24 years old, so I hope to have biggest results in the future. 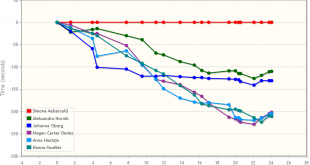 Q: This is the second time in a row for Portual O-Meeting to win the “Course of the Year 2013″ contest – what can the runners expect in 2014? Next year the POM will be again in very challenging terrain and all the course setters are persons really involved in the sport, who knows how to take the best from the terrain. Q: Thanks a lot for the interview and the great course – and congratulations! Comment: Matera is legendary – another place where sprint is really fun and demanding from the very first step and until the end. This particular course had a lot of challenging legs – the shorter ones being just as tricky as the long ones. You never get to rest! Suggested by Riccardo Scalet. Comment: A real long distance race in great terrain. Many long and interesting route choice legs. The course was suggested by Marcus Millegård. Comment: This was one of the most interesting races at WOC – a bigger challenge than many suspected. The mistakes made to the first control were extraordinary. There was also a good combination between easier and tricky legs in the remainder of the course. 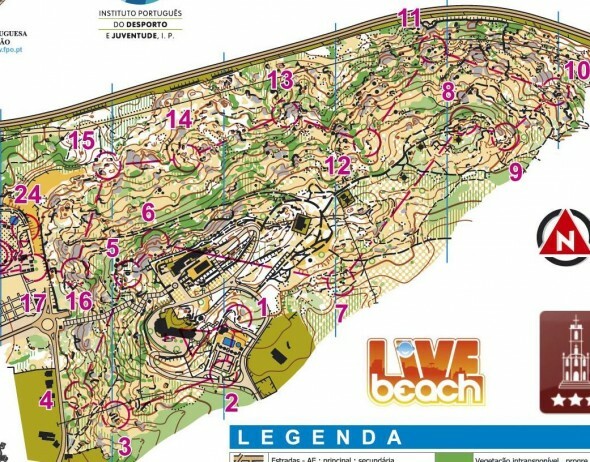 Daniel Roos suggested this course, and his comment was: ” suggest WOC middle qualifier for its technical terrain and nice courses, a shame that the final didnt go in that area”. Comment: The terrain was epic – and this course has several interesting route choices and a good mix of different types of legs – but I guess it is the terrain which makes this course go all the way up to a 6th place.Riccardo Scalet suggested this course – and described both the terrain as the course as funtastic. Comment: This o-technical training is in a different league than the other courses – but it is one of the most fun o-trainings I saw this year. 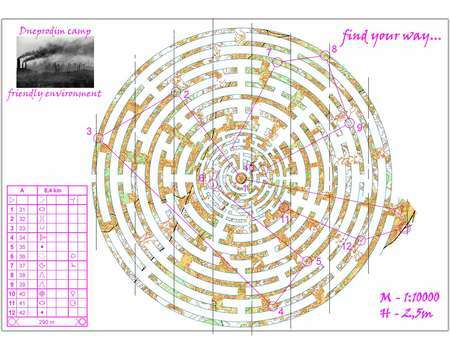 Jissbacke suggested this course with the comment “My suggestion is O.Kratovs LLabyrinth-O. Looks like a really challenging training”. Comment: A classic! I spent several hours analyzing this one, and I can say that this was a really challenging and varied course. The course setter really did his job here! Here are a few hundred mistakes from that race. Jeppe suggested this race. Prizes from our Sponsors always makes it more fun! There will be a prize for the first one suggesting the course which ends up becoming “The course of the Year 2013″, and prizes drawn among the ones suggesting and voting. All prizes are transferable to other persons (you don’t have to travel yourself). 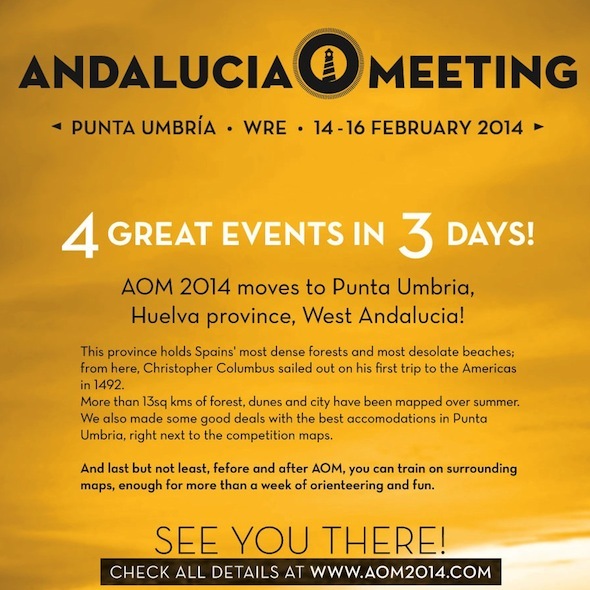 Prize offered: Competition Package for 2 persons – including entry to 4 AOM events in 3 days, 5 nights in 4**** Barcelo Punta Umbria Beach Resort and a 4-map training package before or after the event. Value about 640 Euro. Transferable to other persons. Prize offered: Competition, training and hotel package for one person: Entry for one person at the 10th anniversary of MOC Mediterranean Orienteering Championship in Tuscany + MOC sprint training camp in Venice district + accommodation half boards for 7 nights. Value about 500 euro. Transferable to other persons. You are welcome in MOC- Tuscany 2014! 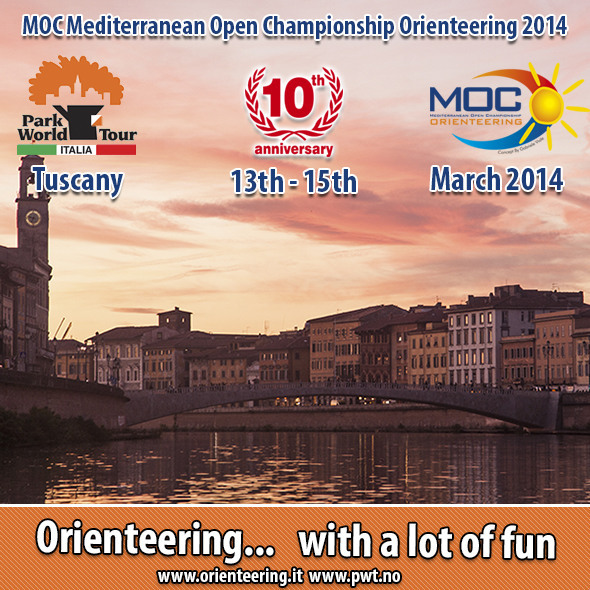 The Mediterranean Open Championship Orienteering 2014 is organized March 13th – March 15th. Final stage in Florence, UNESCO city. Orienteering with a lot of fun. Great events with world class runners! 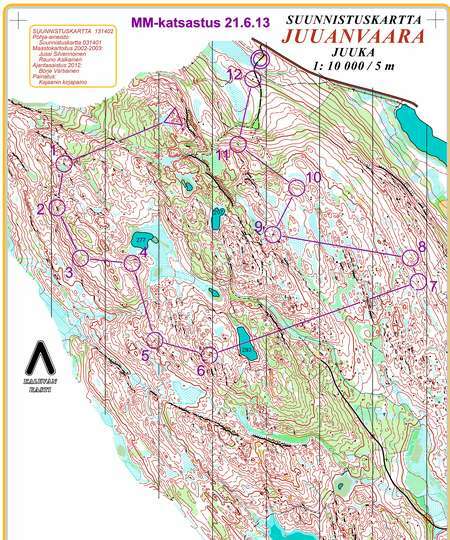 Read more at www.orienteering.it and www.facebook.com/pwtorienteering. 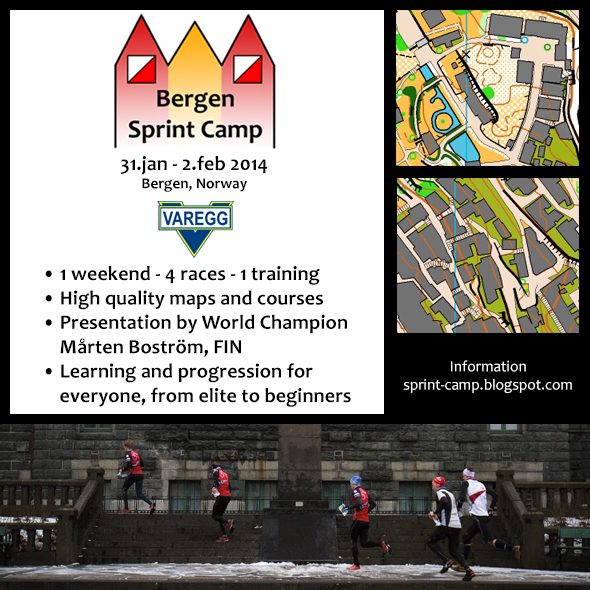 Prize offered: 2 packages – each consisting of 2 complete Bergen Sprint Camp packages: Entry for all 4 races + training Friday morning + Saturday evening program consisting of presentation held by World Champion Mårten Boström and dinner. Value about 400 Euro. Transferable to other persons. For the 5th time in a row, BSC is held in the city center of Bergen, Norway. 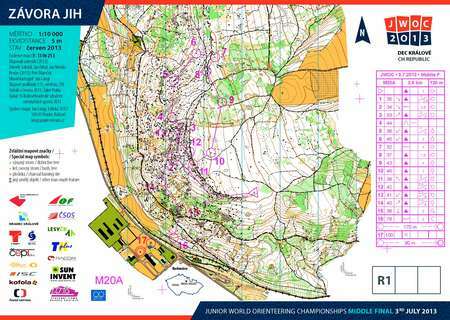 We provide all participants with challenging courses, good maps and interesting analysis of the sessions – hoping to improve the sprint orienteering technique for everyone. 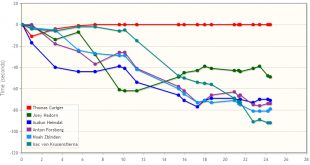 See more at Sprint-Camp.blogspot.no – including all courses and analysis from previous editions of BSC. 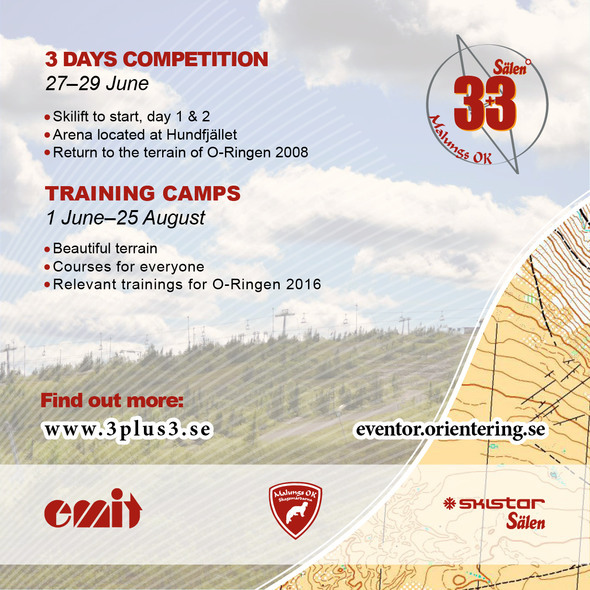 Prize offered: 2 BIG training+competition packages – each for 2 persons consisting of: Entry for the complete 3+3 2014 competition week + maps for 8 different trainings during the training camp + TUBE from Bagheera from Fjällmaraton Sälen. Value about 380 Euro. Transferable to other persons. 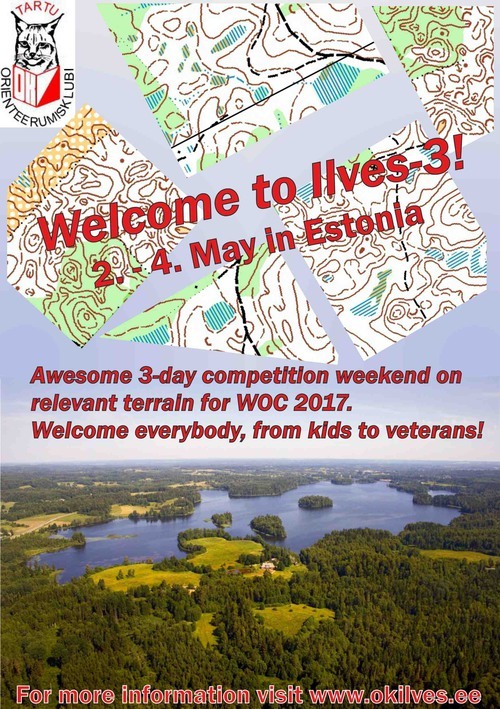 Prize offered: 2 packages – each for 2 persons – consisting of: Accommodation for 2 nights in a nice guesthouse (including breakfast) and start fee for the 3 Day competition Ilves-3 in Estonia. Value about 350 Euro. Transferable to other persons. 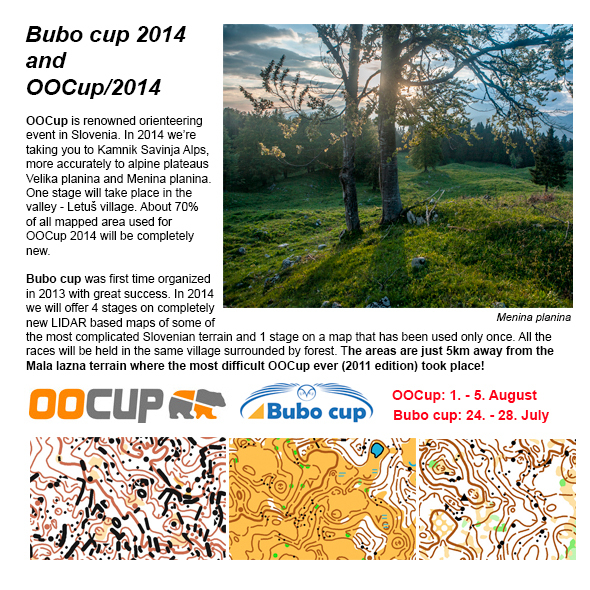 Prize offered: 2 packages – each for 2 people – consisting of: Your choice of full entry to either complete 5 day Bubo cup competition or complete 5 days OOCup competition + small Slovenia training package consisting of up to 3 training maps. Value up to 300 euro. Transferable to other persons. Prize offered: Competition + training package for 2 persons, consisting of: Entry for NAOM 2014 – January 25th/26th 2014 + training camp (6 trainings) + 3 days of accommodation in half board at Castelo de Vide Hotel. Value about 270 euro. Transferable to other persons. Orievents / GD4C’s Training Camps “Alto Alentejo” are an excellent training opportunity for Orienteering of good quality during the winter. 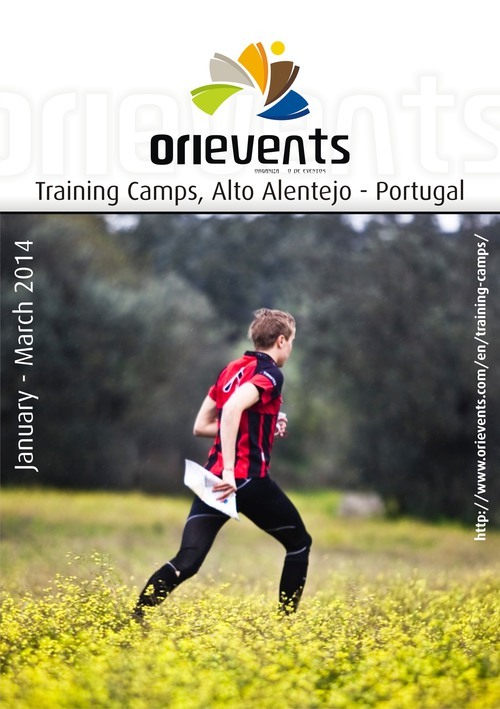 Start the new season in training camps in Alto Alentejo, Portugal! More at www.naom.pt and about the training camp at Orievents. Prize offered: 2 packages – each one for 2 persons – consisting of: Entry fees for the 4 stages of POM 2014, model events, night sprint, trail-O and regional dinner. Value about 260 euro. Transferable to other persons. 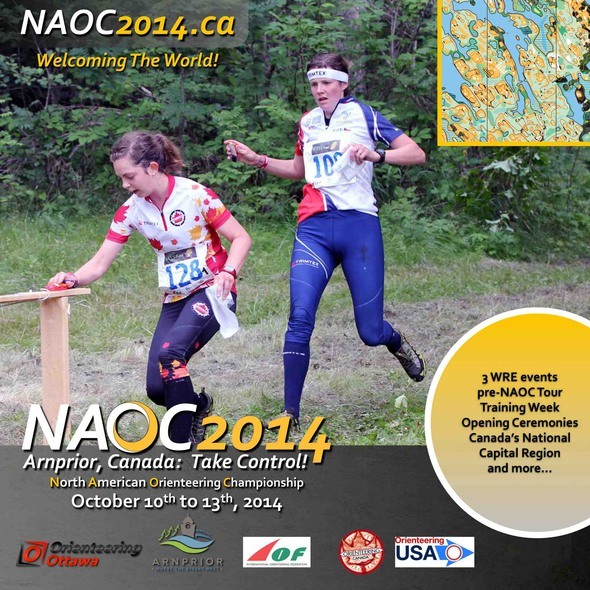 Prize offered: A full NAOC2014 Package for 1 person – transferable to other person. 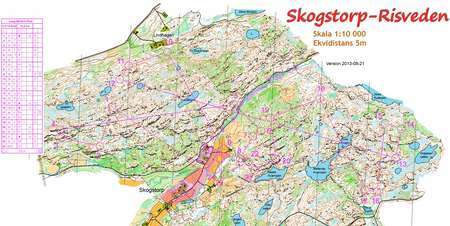 Including all three races (sprint, middle, long), accomodation (hardfloor or camping), all model maps, all training maps, food (3 hot breakfast, 3 hot dinners including banquet),transport to and from airport. Value approximately 200 Euro. Prize offered: 3 packages – each for 2 people – consisting of: Entry for 3 competitions, sprint, middle WRE and long WRE. 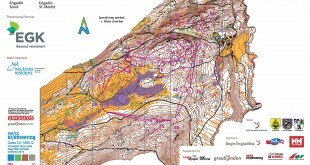 A full package of training maps on WOC 2014 training terrains + a shirt for the event. Value about 200 euro. Transferable to other persons. Next Lucky Voters: Check if you won!